Where m-53 ends at the water you will find a small town of friendly people, clear expanses of Lake Huron and a home cooked meal. 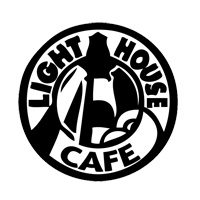 The Lighthouse Cafe sits on the outskirts of Downtown Port Austin. Walk to the beach, the pier, parks, rent a kayak or a bike. When you get hungry, put on your flip-flops and come in to the Lighthouse Cafe. Breakfast is served all day, and the food is made fresh to order. Home made breads, potatoes, sausages, burgers, chili and so much more. There is a little bit of something for everyone, and Carol always has something new on special. The atmosphere is reminiscent of a July 4th picnic with all the friends and neighbors and the food will make you want to relive that party over and over.